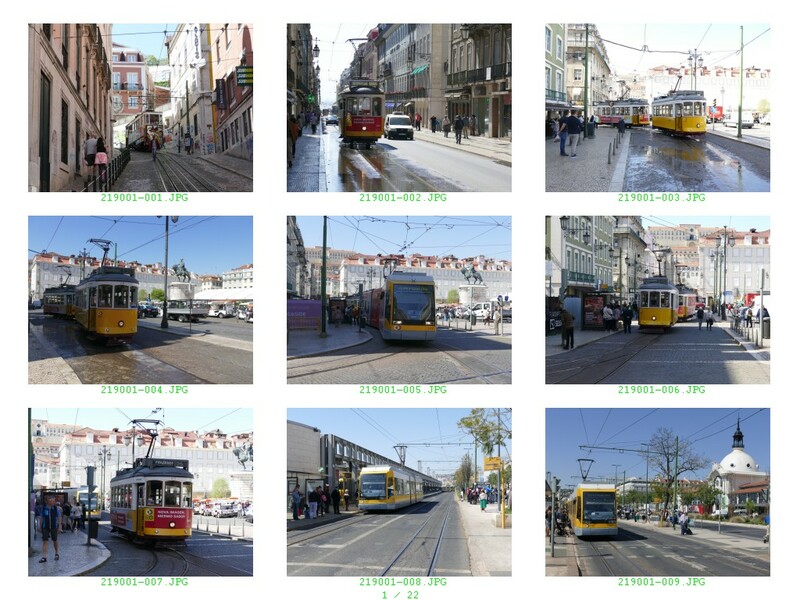 This series augments the extensive coverage of 2007 by covering the Ajuda branch and the more recently reopened branch from Praca L. Camoes to Campolinde. 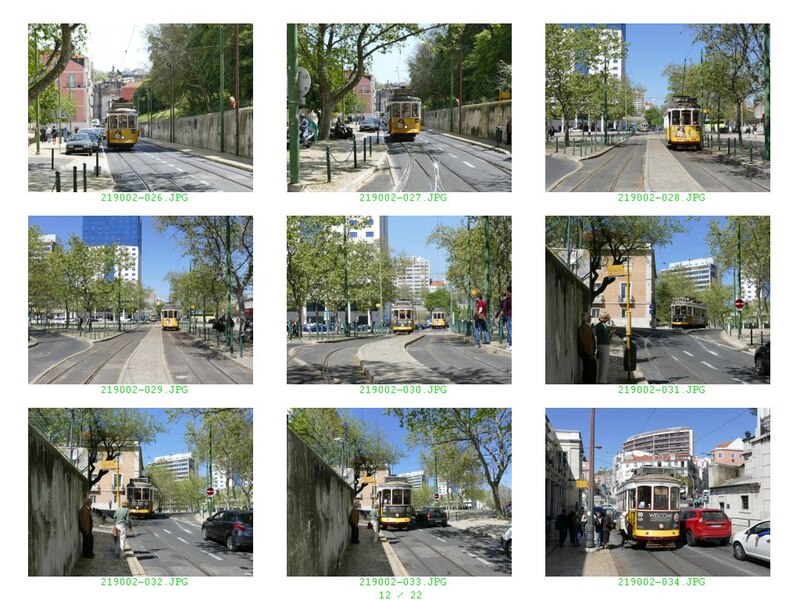 Above : April 2018 saw the reopening of line 24 to Campolinde, albeit only from Camoes, with the old tracks between Camoes and Cais do Sodre, although extant, not connected. 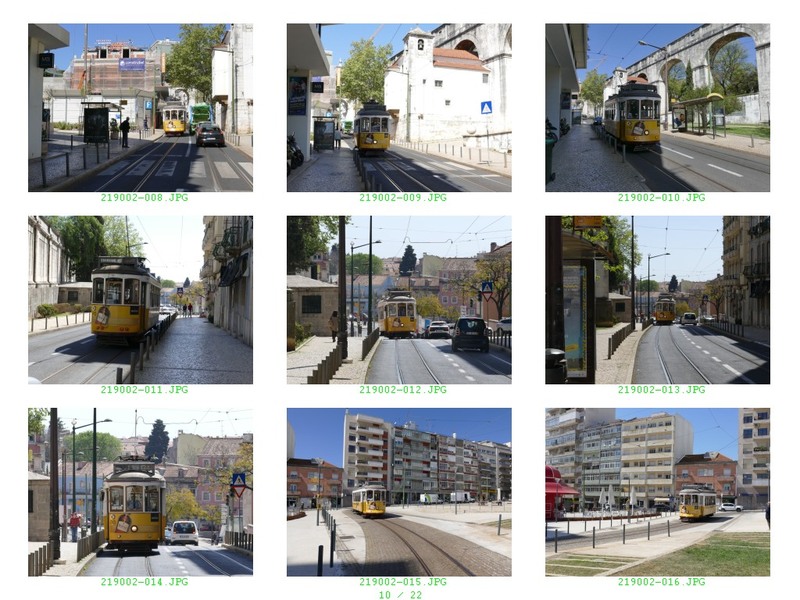 The line had been closed for 23 years. 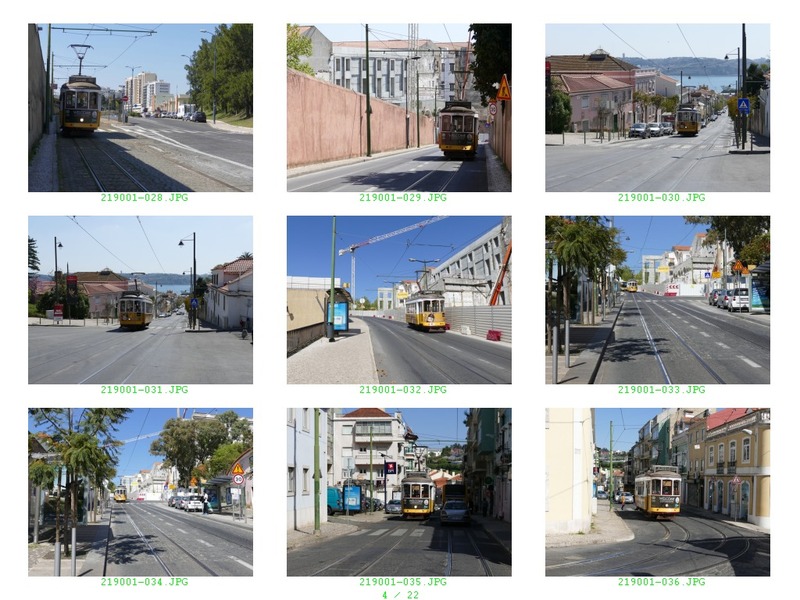 The reopening marked a change of attitude to the tramway from the city authorities which had recently assumed full control of the transport operator, Carris. 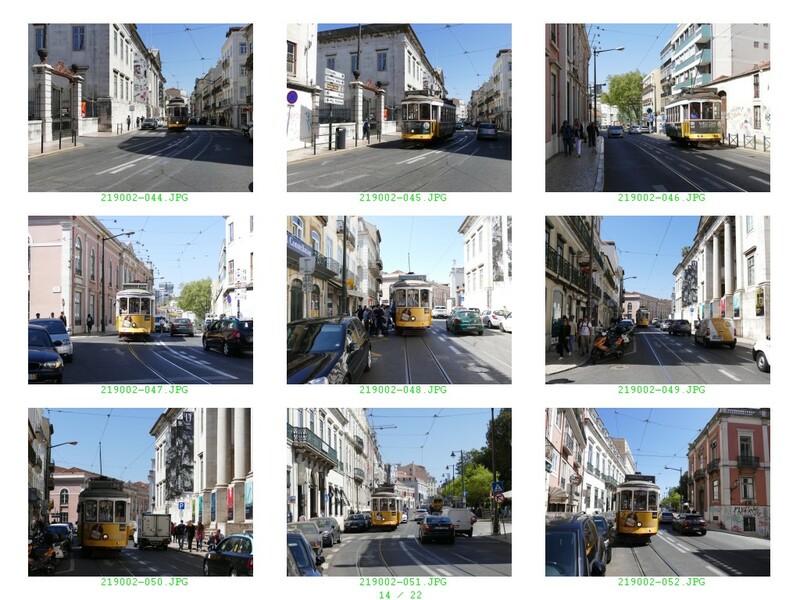 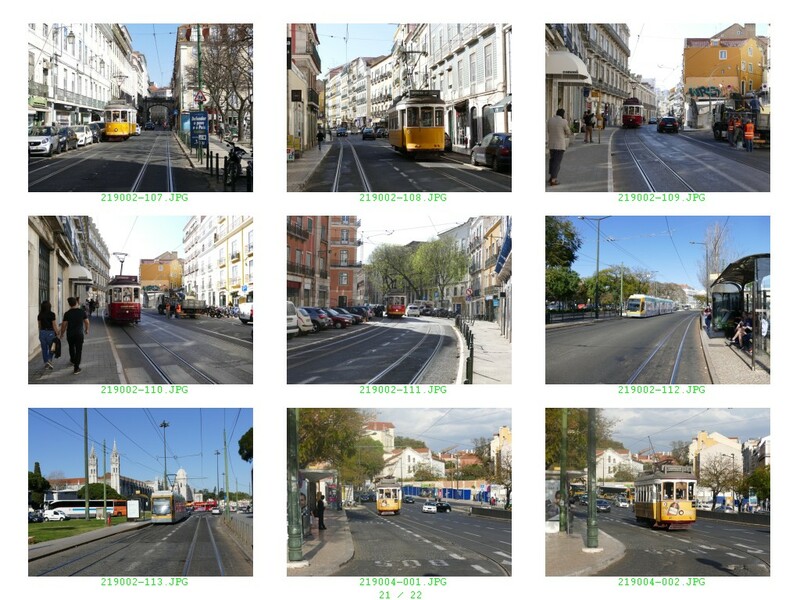 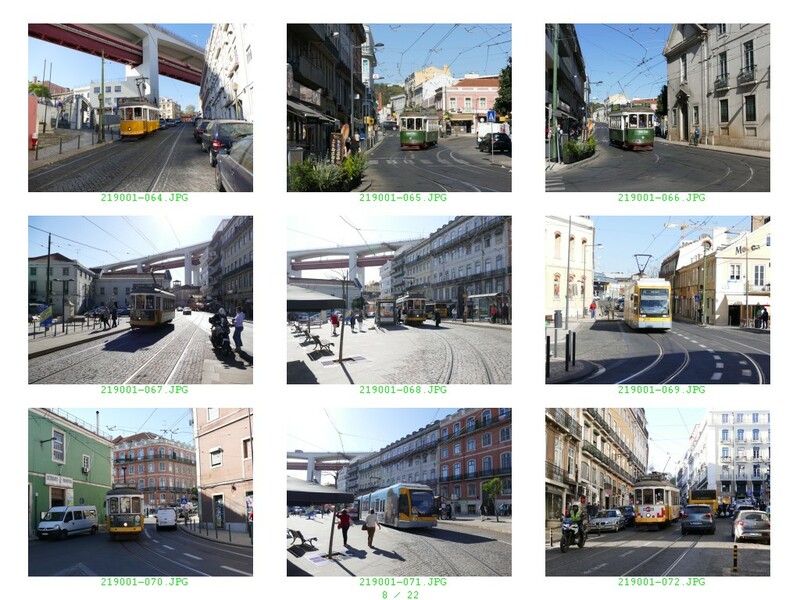 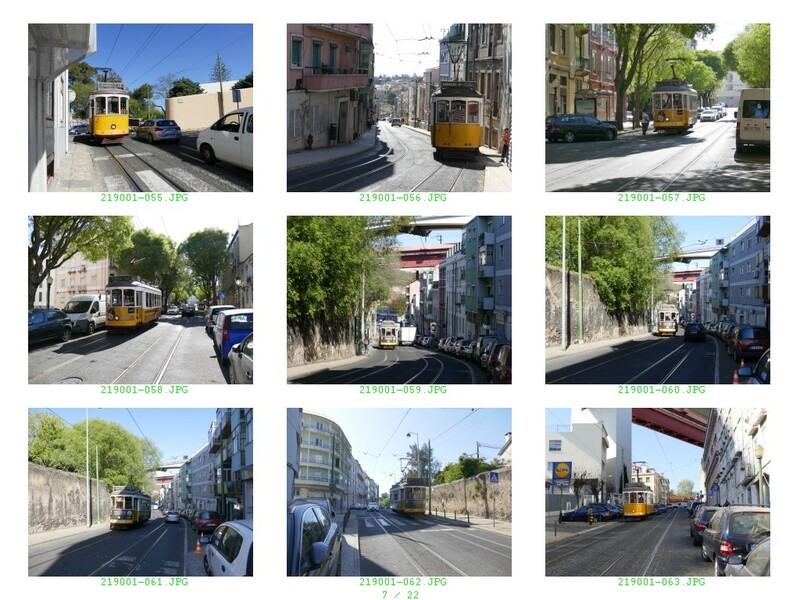 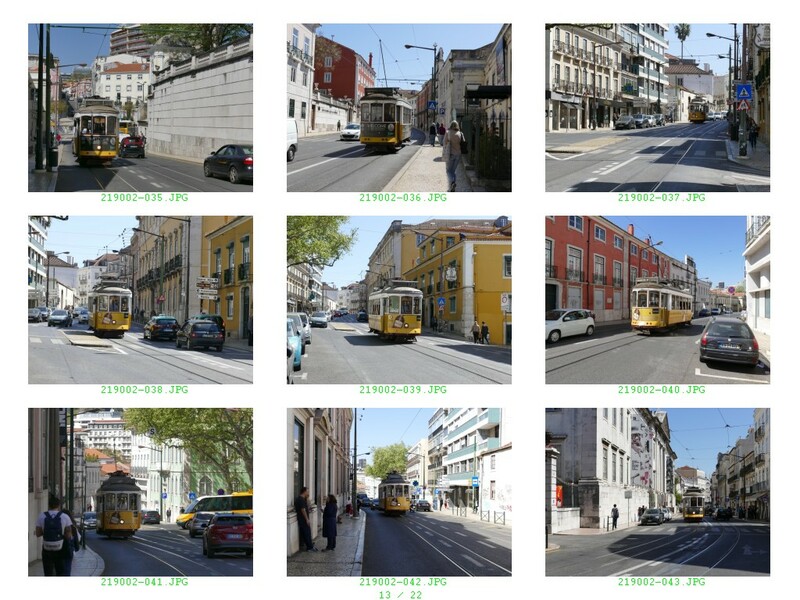 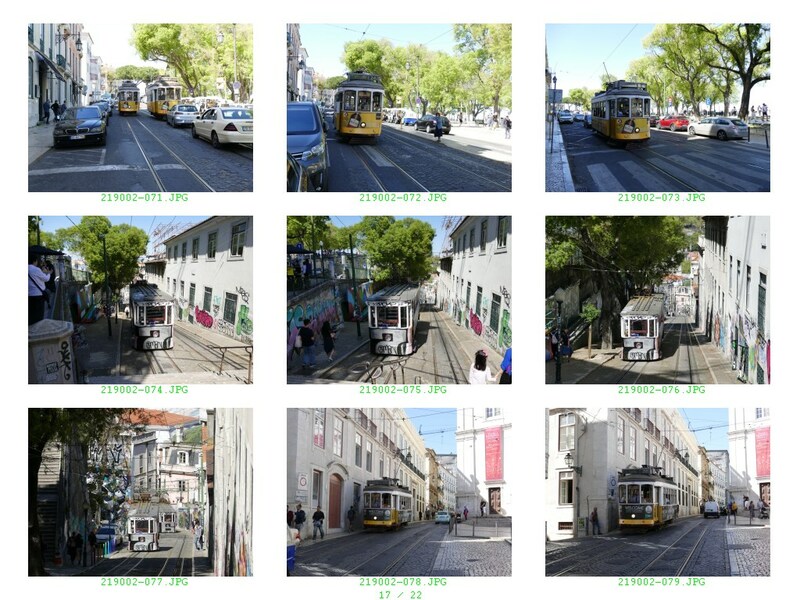 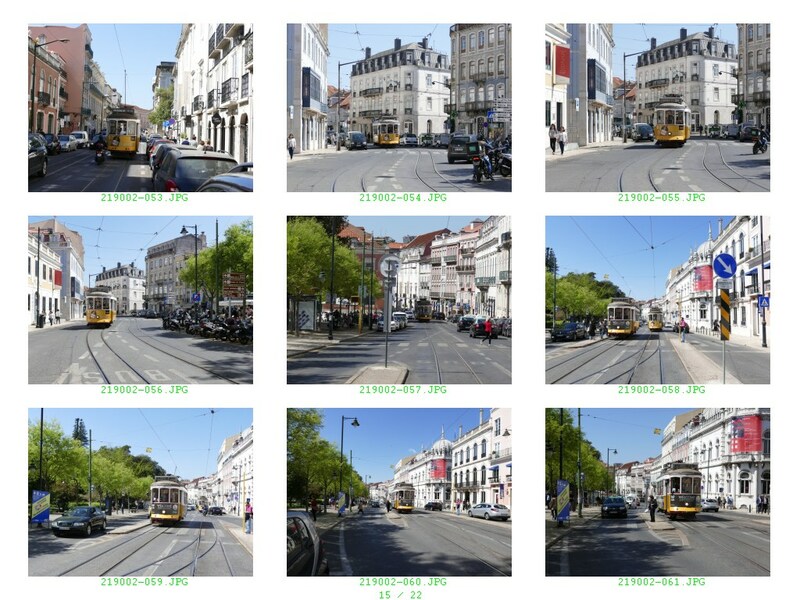 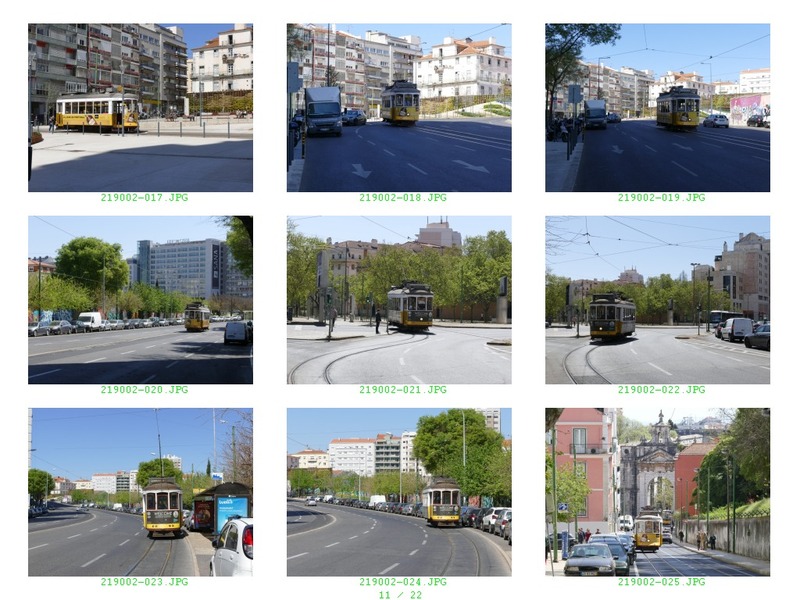 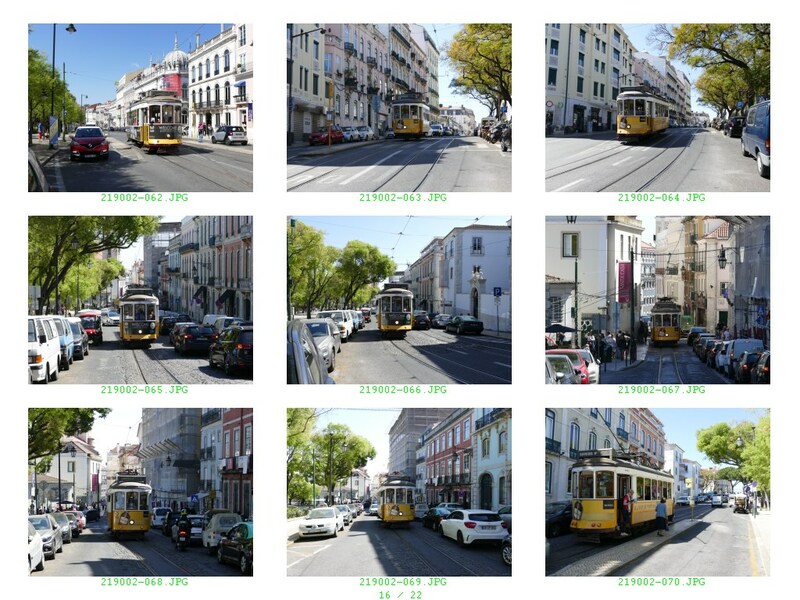 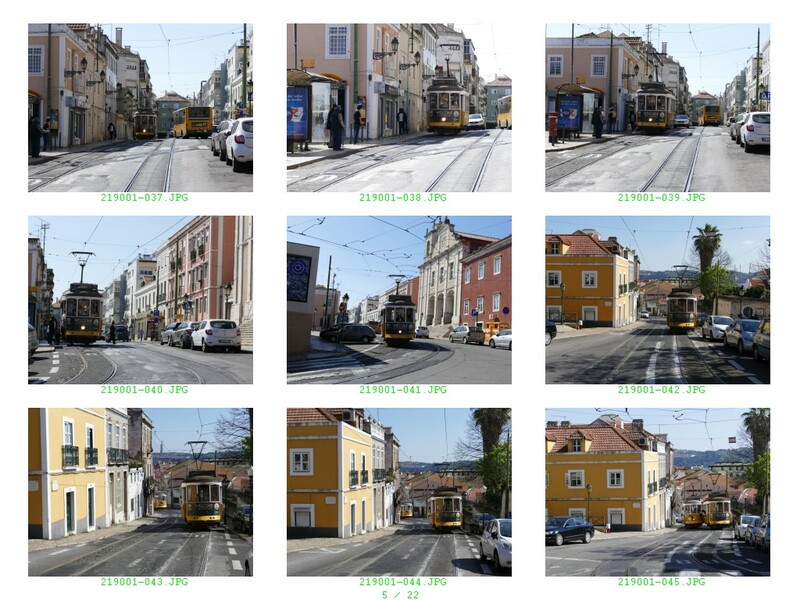 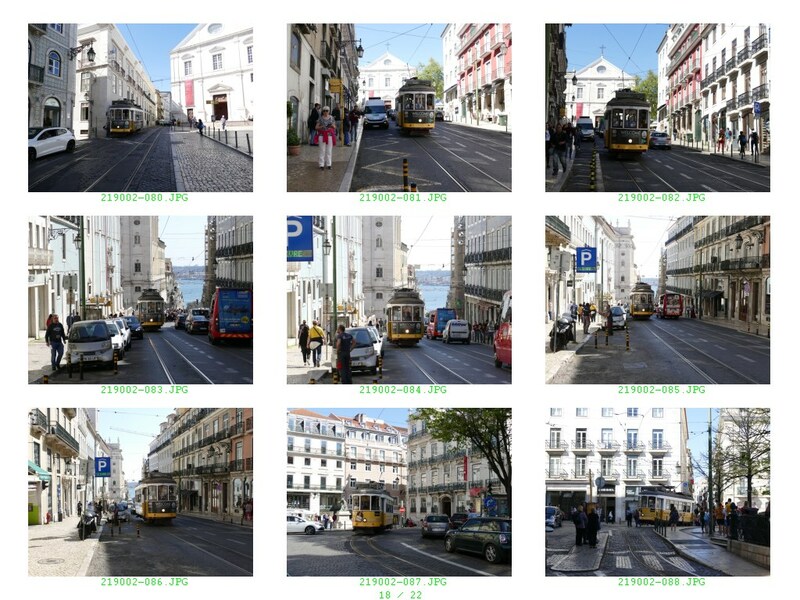 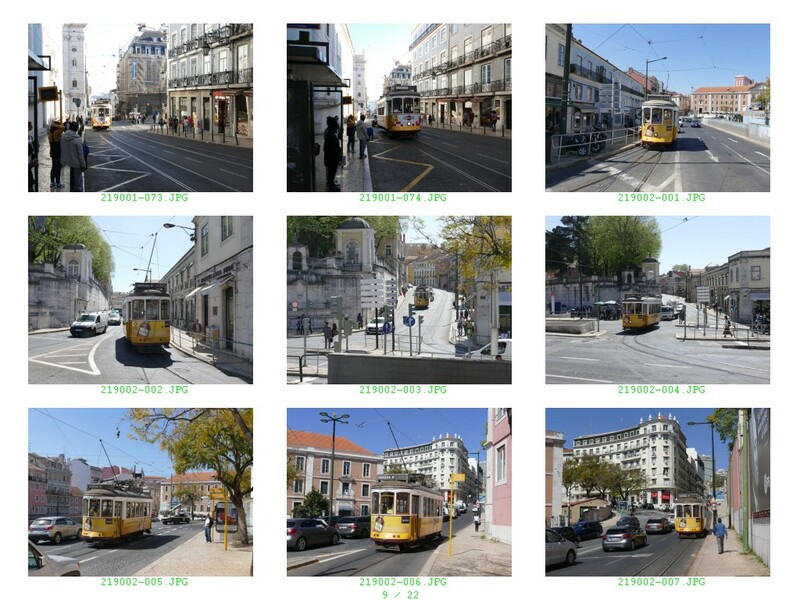 Lisbon's network had contracted significantly in the face of metro construction, traffic congestion and the cheaper availability of buses compared with trams suitable for the 900 mm gauge tracks and extremely hilly terrain of the city. 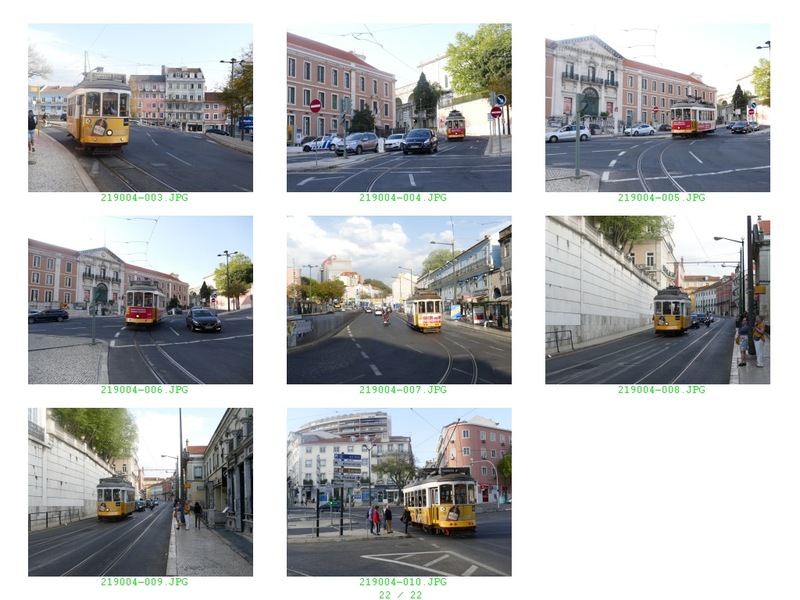 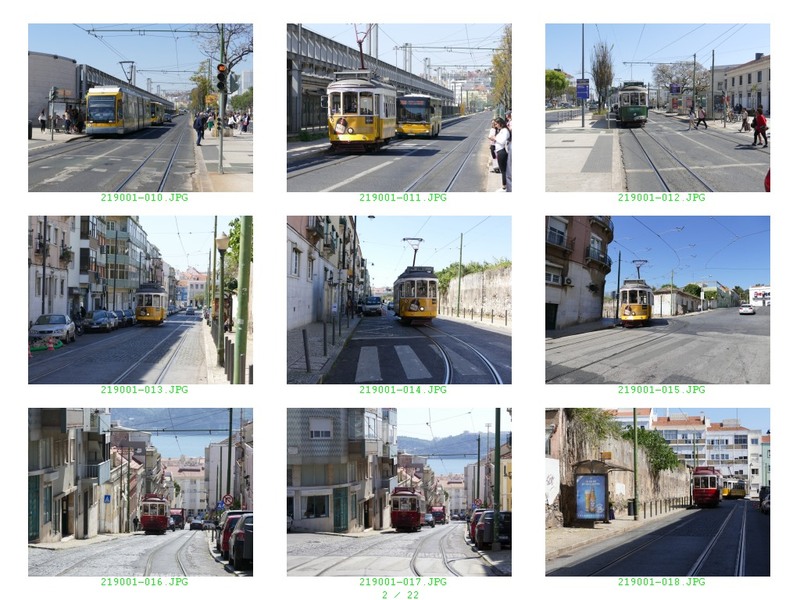 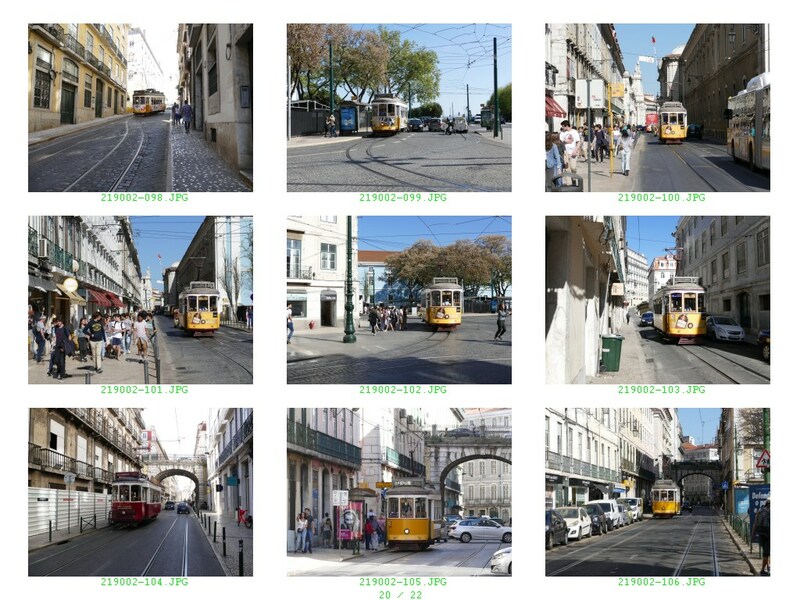 Apart from 10 articulated trams introduced in 1995 and only suitable for the riverside route to Belem and Alges, Lisbon relies on its remaining "remodelled" trams, technically updated but otherwise virtually unchanged from their 1930s appearance. 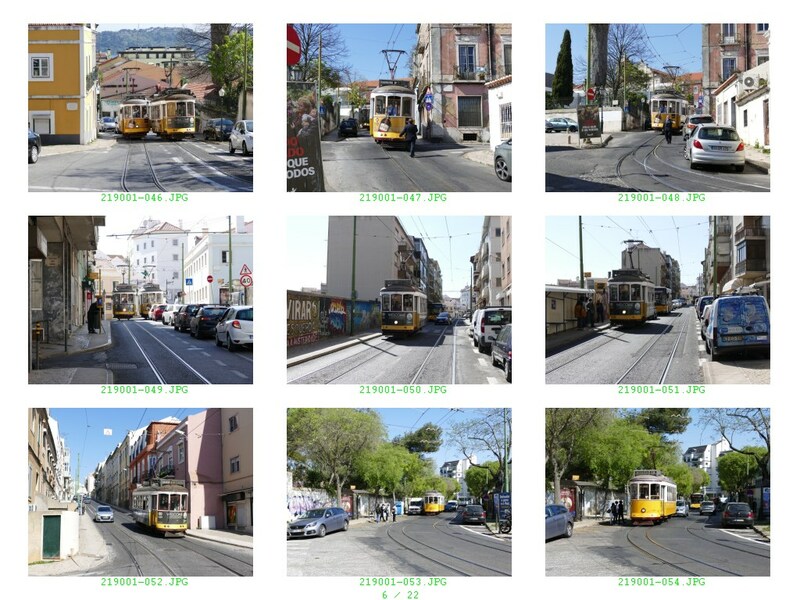 The reopened route had to be served by the existing fleet, putting severe pressure on other lines. 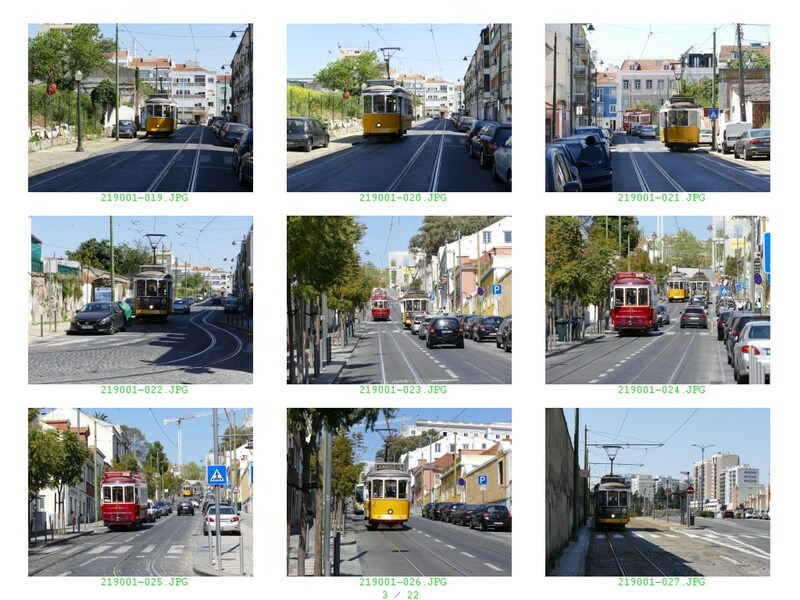 The line still has to contend with severe traffic congestion, especially between Camoes and Rata, but things were relatively quiet when this photo was taken around midday at Praca do Principe Real.